The Sharp/Foxconn alliance appears to have OLED technology in its sights, though we’ll be in the next decade before it starts making TV panels. But is that going to be too late? The protracted negotiations regarding the acquisition of a major stake in Sharp by Taiwan-based Foxconn have led to a lot of speculation over what the massive contract manufacturing company saw in the ailing Japanese maker of displays. But now there seems to be come clarity: although Foxconn already has a stake in Sharp’s existing LCD panel factories – originally built to help it dominate the supply of TV displays but now much more concerned with making the more profitable smaller panels for tablets, phones and the like – it seems it doesn’t want to ride on that existing technology, but build up Sharp as an OLED manufacturer. Reports from industry analysts suggest that Foxconn/Sharp could be in the OLED business as soon as 2018, with more than half of the Taiwanese company’s ¥389bn (£2.45bn) investment in Sharp reserved for OLED development. The Osaka-based company has already shown small OLED displays, including a flexible 3.4in prototype displayed on the Sharp booth at CES 2013. And it’s thought that’s the area Foxconn/Sharp will tackle first – taking on the current leader in this field, Samsung, with panels aimed at use in smartphones within the next couple of years. Foxconn is of course a major supplier to Apple, making the company’s iPhones, among other products, at its Chinese factories, and the ability to use its own displays, rather than having to buy them in from third party suppliers such as Samsung, would do Foxconn’s profitablity no harm whatsoever. Tablets and TVs in 2021? It’s expected that production will expand to tablet-sized OLED panels a couple of years later, in 2021, when the alliance is also expected to start making TV-sized OLEDs. The advantage would be that any such panels will be able to make use of Sharp’s IGZO technology, co-developed with Japanese company Semiconductor Energy Laboratory, and originally designed to give LCD panels higher resolution and increase energy-efficiency, meaning longer battery life and less heat, not to mention slimmer displays with narrower borders, in portable devices. At the time, it said ‘this is expected to have a big impact on the consumer TV market,’ but the question remains whether the emergence of this technology in five years’ time will have a similar effect. 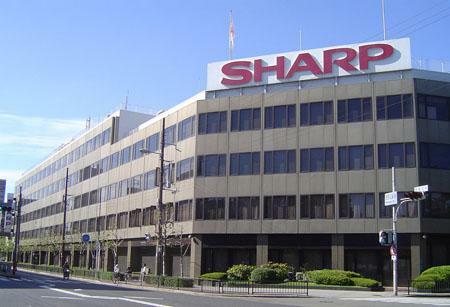 One possibility is that the combination of Sharp’s technology and Foxconn’s expertise in huge-scale, low-cost manufacturing will enable OLED prices to be brought down to mass-market levels, but it remains to be seen whether by 2021 that will have happened already, either at the hands of current OLED TV leader LG Display or as the result of the entry into the market of the big Chinese TV panel manufacturers. Already companies such as Skyworth have been making aggressive noises about challenging LG’s current market dominance – and of course five years is a very long time in TV technology.